She graciously agreed to one of my interviews, the brave woman. 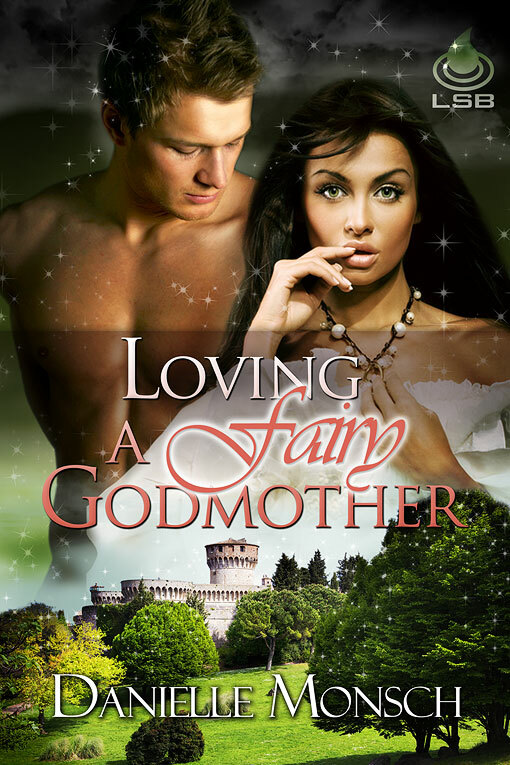 Plus, we get a sneak peak of her newest release, Loving a Fairy Godmother. I’m an otaku, which is another way of saying I’m a very geeky person very into Japanese cartoons, comic books, movies and music. If I’m not writing and have time away from the family, I’m delving into this world. Miyazaki is god and one day, I really will learn to speak Japanese. What would you do with $1 million dollars (tax-free, of course)? I’m very boring and practical I’m afraid. House would get paid off, kids college funds would be fully funded, large chunks would go into retirement investments. The only slightly impractical use would be a yearly vacation. Hubby and I both enjoy travelling, and that kind of money would fund several first-class travel adventures. My first love was vampires when I was younger, and while I may not have the all-consuming obsession I used to have with them, vampires would still be my answer today. Even the negatives wouldn’t be that bad for me. Anyone who has seen my paleness in pictures can tell I don’t do much time in the sun. I won’t say favorite, but the book that has had the most lasting impact on me would be ‘Little Women’ by Louisa May Alcott. Partly this is due to the timing of me reading it, that area just on the cusp of pubescence where lots of things are getting churned up in the brain, but that book has had a lasting impact on my psyche. I’m sure I’m not the only girl that feels that way though. Just mention Beth dying in a group of women, see how many start tearing up. Pumpkin pie. My mom makes the world’s most delicious pumpkin pie, it’s a lot spicier (nutmeg spicy, not curry spicy) than the store bought stuff, and she has a real gift for making flaky crust. She only ever made pie for Thanksgiving and Christmas though, never any other time of the year, no matter how much we begged. As soon as Halloween hit, my siblings and I would start counting down the days until it was time for pie. I’m really not a time traveller. I like indoor plumbing, pain medicine, and air conditioning too much to ever give them up. It’s not that I don’t enjoy learning about history, but actually going back to experience the stink? Blech! Asking questions like this, have you ever thought of starting up your own cult? I guarantee more money than in writing. I just sold my second short story to Ellora’s Cave. It is a naughty story entitled ‘Pleasure Satellite’, release date TBD. Chocolate – was there ever a doubt? Jewelry: Precious gems or gold? 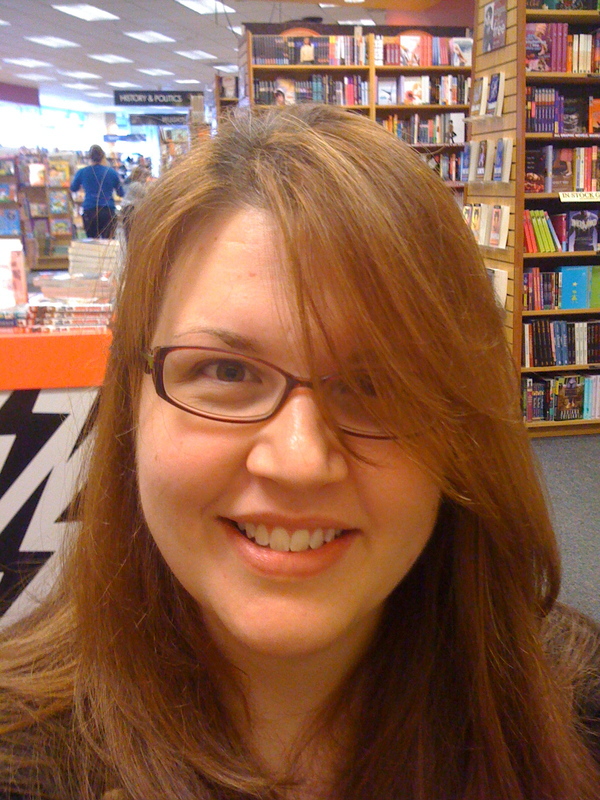 Danielle Monsch is a Romantic Geek Girl Writing in a Fantasy World. Born to the pothole laden streets of Pittsburgh Pa, she now resides in the Pacific Northwest, where they tell her that the sun will eventually be seen, but she really doesn’t believe them. She has two beautiful kids who do everything in their power to make sure she doesn’t make her daily word count, and a hubby who is her greatest cheerleader as well as her tech support. Posted on April 21, 2011, in Excerpts, Guest Interviews, Guests and tagged Danielle Monsch, Guest Interview, Loving a Fairy Godmother. Bookmark the permalink. 3 Comments. Thanks a lot for interviewing me Amber, it was fun to be on the other side of a Q&A session! Thanks for coming 🙂 It was great learning more about such a wonderful author. This looks like a really good book. It took me forever to get past the cover, it’s gorgeous! Congrats on the book and Happy Easter!